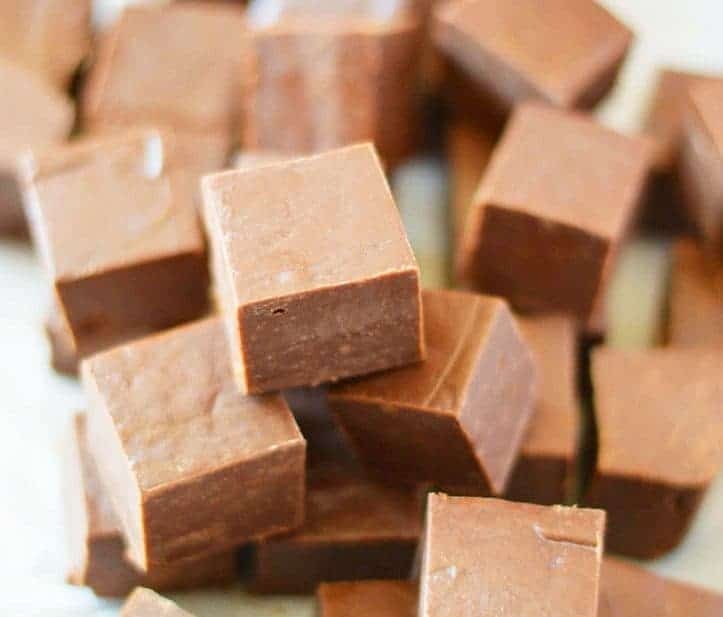 This is an easy chocolate frosting recipe that will bring your cakes and cupcakes to the next level. It’s so rich and creamy but made with simple ingredients. It’s easy to pipe and spread to make beautifully decorated desserts! Sometimes, we need to get back to the basic recipes. The tried-and-true recipes that we keep coming back to again and again. 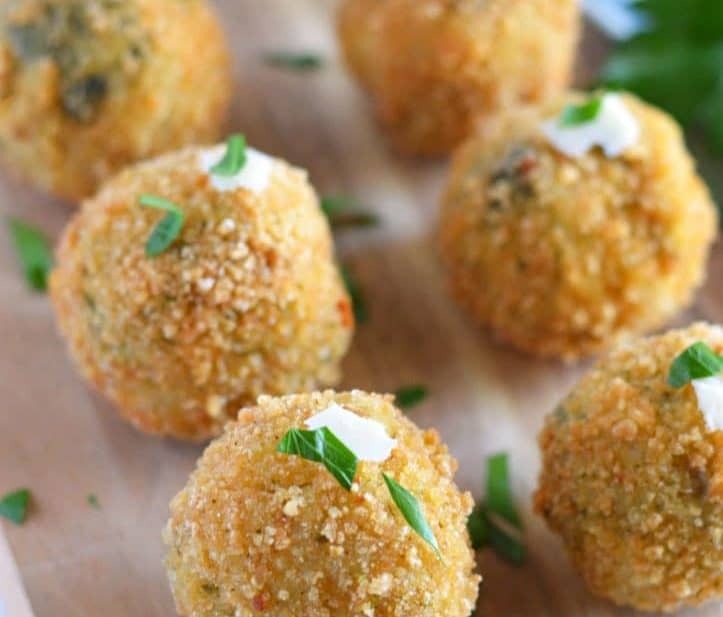 The recipes that are versatile and can be used in conjunction with a variety of other recipes. Buttercream frosting recipes are a prime example of that. They’re simple, basic recipes that can be used over and over and make a Plain-Jane cake spectacular. This chocolate buttercream frosting recipe is no exception. It’s so rich and creamy but incredibly easy to make. It’s the perfect chocolate frosting for chocolate cake and a great chocolate frosting for brownies. 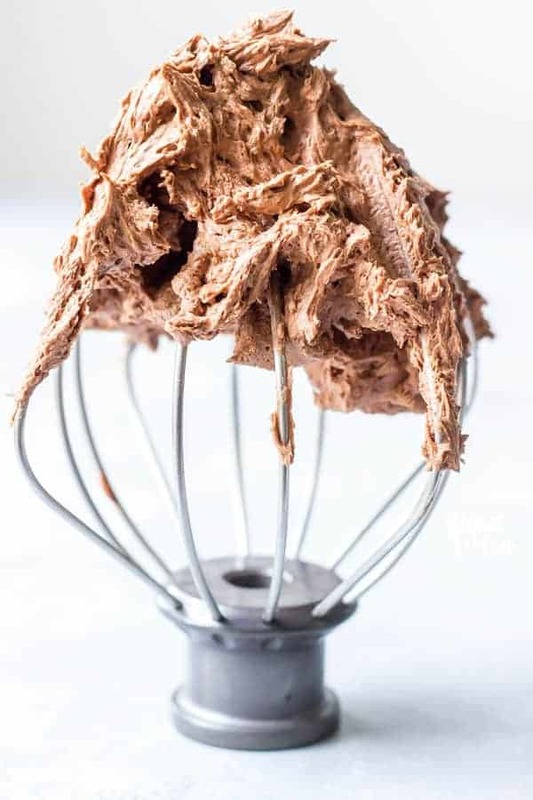 This chocolate frosting recipe only calls for a handful of ingredients and ones that you probably already have on hand. I use cocoa powder to make my chocolate buttercream frosting, so no melting chocolate involved! So, you’re about to make your chocolate frosting and you see Cocoa Powder as an ingredient. But what kind of cocoa powder should you be using? The answer is really up to you! Pictured in this post is regular cocoa powder (Hershey’s). It gives a nice, almost subtle chocolate flavor. You know you’re eating chocolate when you’re eating it, but you’re not like “WHOA THIS IS CHOCOLATEY”. 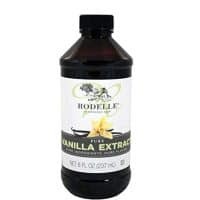 I like using regular cocoa powder when I’m making vanilla cupcakes or when I’m making a dessert specifically for kids. They like that lighter, almost milk-chocolate like flavor. I also like to make this frosting with Hershey’s Special Dark Cocoa Powder. It’s an intense chocolate flavor! 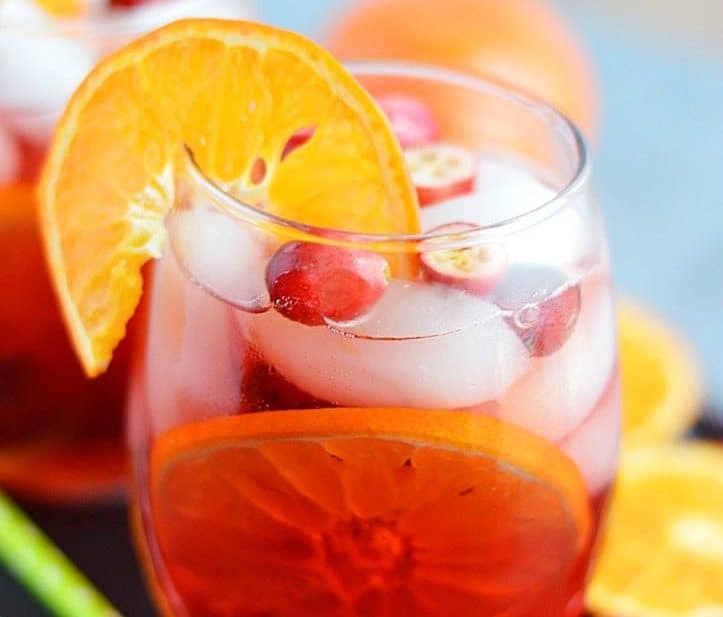 It’s nice and rich and definitely brings the drama for dessert. Dark Chocolate Frosting is perfect on Chocolate Cupcakes or Chocolate Cake. It’s got that classic chocolate flavor that’s sure to impress. 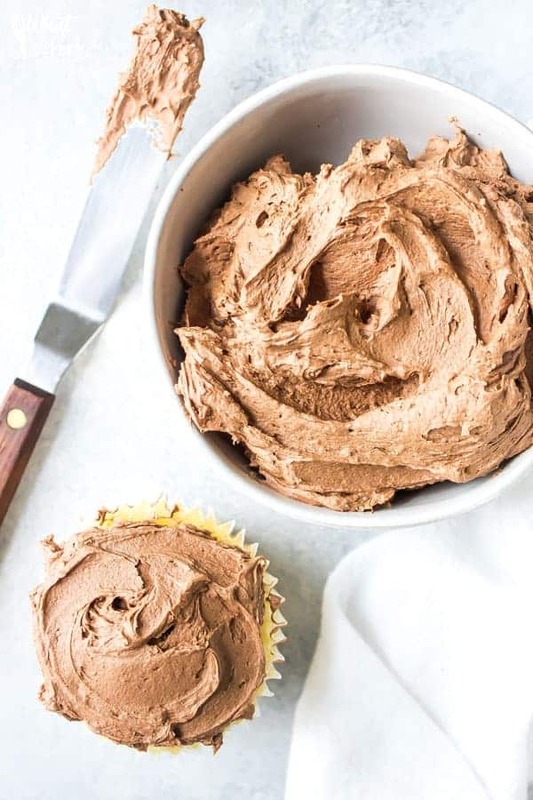 If you love chocolate, try this frosting with the dark cocoa powder! Dutch Processed Cocoa Powder is also a great option if you’re looking for deep chocolate flavor. 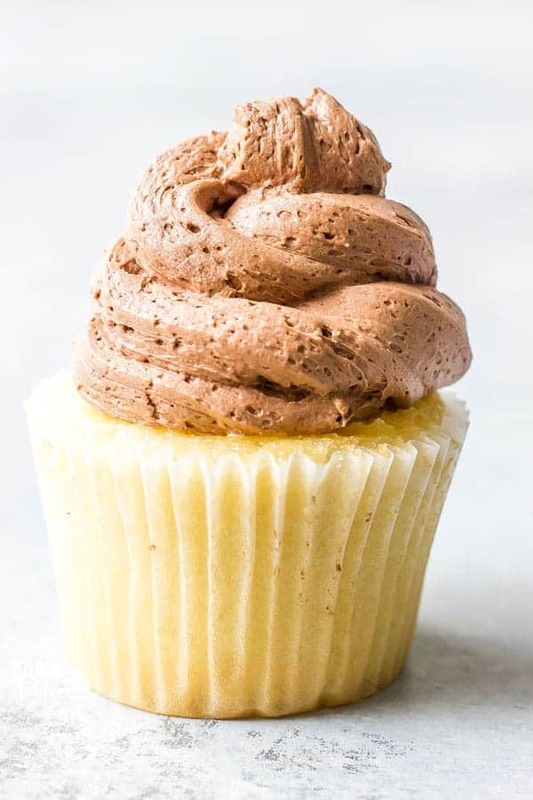 It produces a frosting that is lighter in color (though slightly darker than frosting made with regular cocoa powder) but has the rich chocolate taste similar to the dark cocoa powder. I highly recommend experimenting with the different cocoa powders when making this frosting. You’ll get a better feel for your own personal taste preferences. 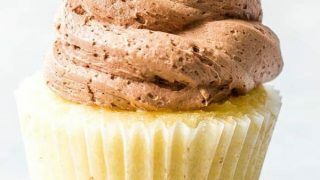 This chocolate frosting is spectacular on top of gluten free chocolate cupcakes and on my gluten free vanilla cupcakes. It’s also the chocolate frosting I use to frost my gluten free chocolate cake. It would also be a great way to frost sugar cookies for a fun chocolate twist! Looking for a fun new flavor? 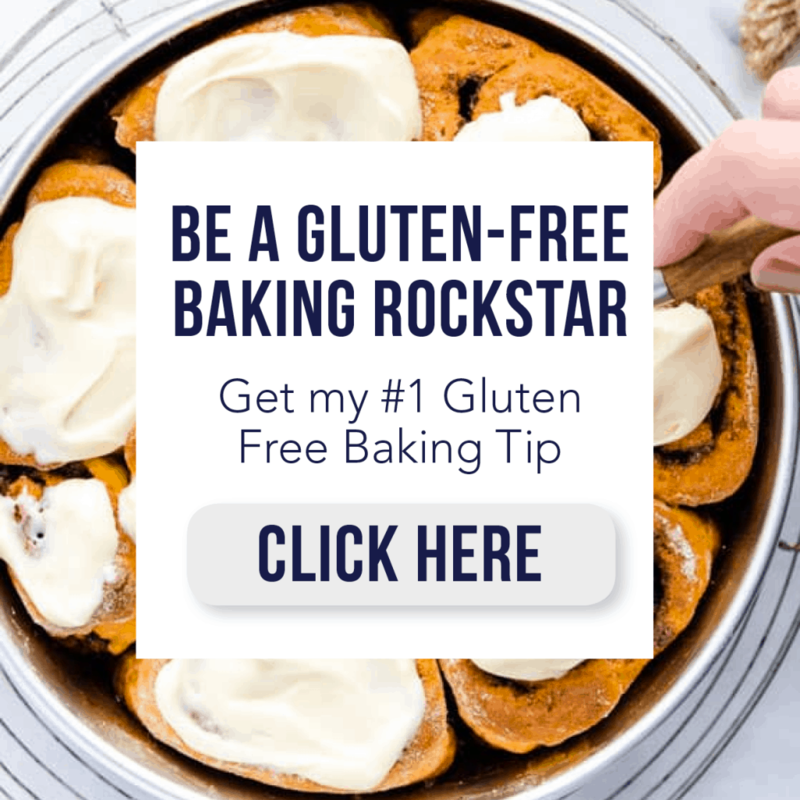 Try this on top of my friend Chrystal’s Gluten Free Mexican Hot Chocolate Cupcakes. They’d be great for Cinco de Mayo! So tell me, what would you frost with this dreamy chocolate frosting? Or would you just eat it straight out of the bowl with a spoon? Enjoy! Add the butter and a pinch of salt to the bowl of a stand mixer and beat until completely smooth. Add the powdered sugar and cocoa powder and mix on low to combine. Mix in the vanilla extract and heavy cream. 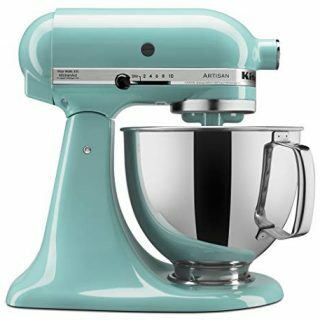 Turn the mixer to a medium-high speed and beat for 1-2 minutes or until the frosting is light and fluffy. 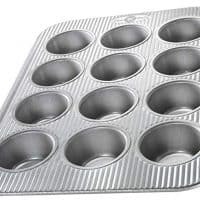 Use to frost your favorite cakes, cupcakes, brownies, or cookies. Make ahead - this frosting can be made up to 3 days before using. Make as directed then store in the refrigerator. Bring to room temperature and re-whip before using. 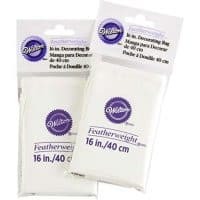 This recipe makes enough to frost one standard sized (8 or 9 inch) layer cake. It can also be used to frost 14-16 cupcakes if using a large piping tip. It will frost 24 cupcakes with a standard amount of frosting.